While the competition was fierce, the new friendship built between residents of Wabash and Silverton, Ore., isn’t. Several local residents downtown business owners have reached out to their counterparts in Silverton, many ordering various wares from the businesses there. Wabash and Silverton were competing for the top prize in the Deluxe Corporation’s Small Business Revolution Main Street competition. Wabash won and will receive $500,000 in goods and services for its small businesses. Former Lt. Gov. Sue Ellspermann was named the new president of Ivy Tech Community College on Wednesday, May 18. 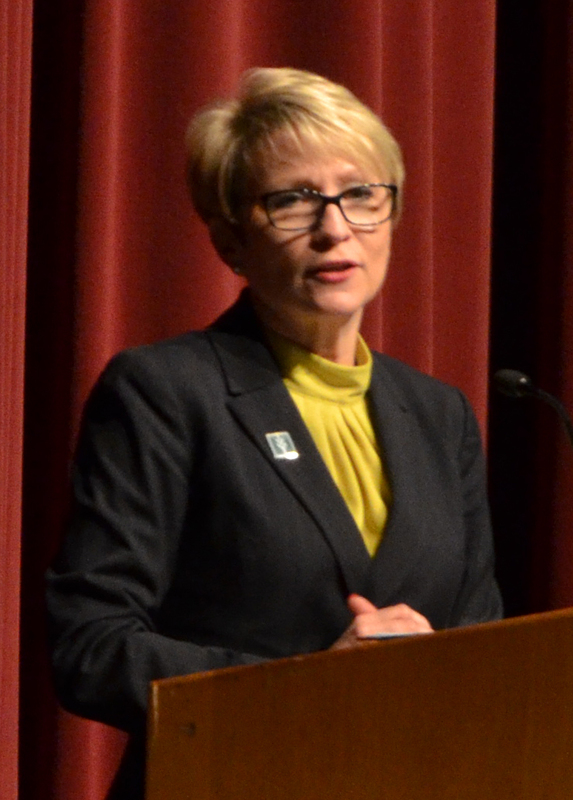 Ellspermann served as lieutenant governor from 2012 to March 2, 2016, when she announced her resignation to pursue the community college’s presidency. On Wednesday afternoon, Ivy Tech Community College trustees voted 11-0 to appoint Ellspermann starting July 1. 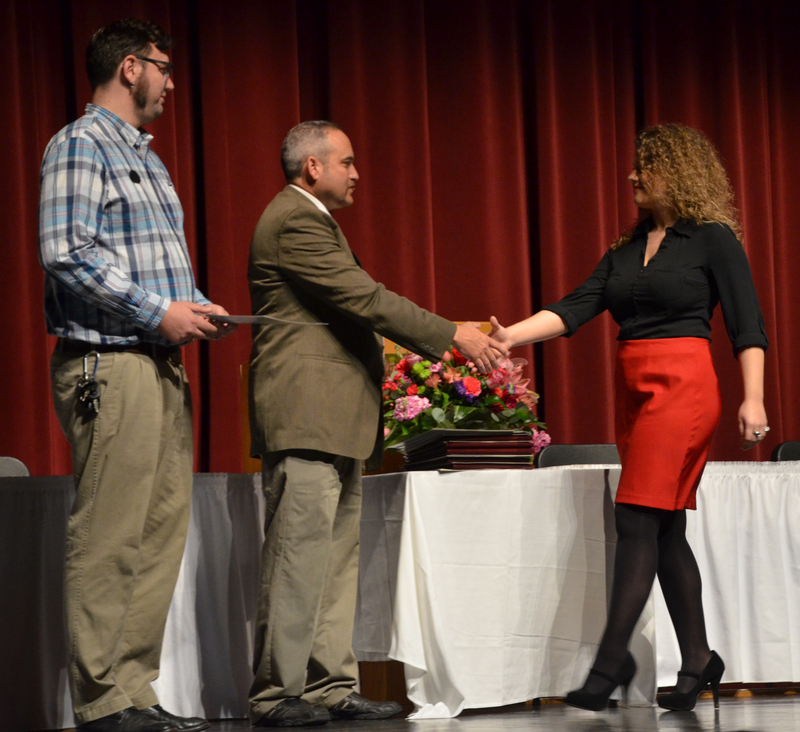 Heartland Career Center honored more than 100 seniors Wednesday night, May 18, at its 51st Anniversary of the Certificate Presentation and Career Excellence Recognition. Students in the 2016 graduating class earned certificates in professions including automotive collision repair, automotive service technology, construction technology, cosmetology, criminal justice, culinary arts and hospitality management, diesel service technology, early childhood education, electronics and computer technology, entrepreneurship and new ventures, health science education, interactive media, servers and security, precision machining, and welding technology. For months, my colleagues and I at Deluxe Corporation anticipated the day we would announce the winner of the Small Business Revolution – Main Street contest, but we never imagined the outpouring of emotion that would erupt in the Eagles Theatre on May 12. I said it at the time – that was truly the best work day ever. 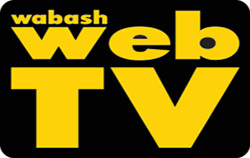 Watching the Wabash mini-documentary, seeing the incredible vote count and hearing from your residents just how much you love the community and how instinctively you all came together to rally the town, well, we knew that we made the right choice in making you a finalist. Yet I still have never experienced the jubilation shown when the announcement was made. It was pure, it was heartfelt and it was genuine and we loved being part of it. 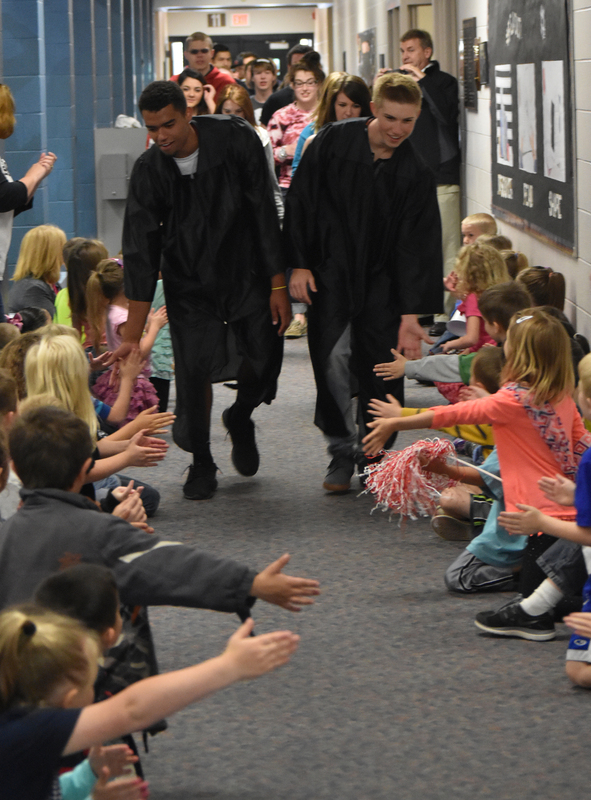 Two Wabash County high schools congratulated its graduating senior class with a special send off: a trip to back to elementary school. Seniors from Southwood Junior-Senior High School and Manchester Junior-Senior High School stopped by their corresponding elementary schools, Southwood Elementary and Manchester Elementary, to share high fives, hugs and congratulations with students just beginning their academic careers. 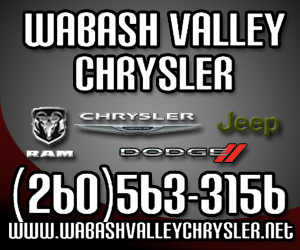 PERU – A police chase in Miami County on Monday, May 16, traveled across the Wabash County line and resulted in a collision with an unoccupied Wabash County Sheriff’s Department vehicle. At approximately 1:50 p.m., the Miami County Central Dispatch received a call of a 17-year-old suicidal male who had left a residence in the Oakdale area of Peru. The male was possibly en route to Seven Pillars along State Road 124 and was also possibly in possession of a handgun, according to a Peru Police Department press release.